I need to make a confession right up front. I’ve never smoked marijuana. I’ve never been drunk with alcohol. In fact, I’ve never used an illicit drug of any sort. I mention this because I’m quite sure that some will object to what I say in this article by insisting that I have no right to speak about an experience in which I’ve never personally indulged. I think that’s ridiculous. 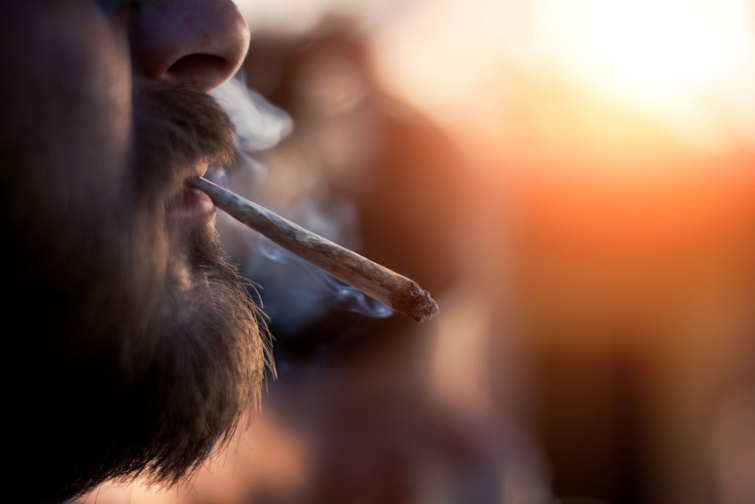 Whether or not I’ve ever been “high” (and again, no, I haven’t), is irrelevant to the question of whether or not Christians should use marijuana for recreational purposes. That being said, let’s get started. Sam Storms became the Lead Pastor for Preaching and Vision at Bridgeway Church in Oklahoma City, Oklahoma, in 2008. He is on the Board of Directors of both Desiring God and Bethlehem College & Seminary, and also serves as a member of the Council of The Gospel Coalition. Sam was recently elected to be Vice-President of the Evangelical Theological Society. (1) I’m not anything remotely close to being an expert on the question of whether or not marijuana should be made legal and available for use in cases of extreme medical distress. But I will give you my opinion. My humble opinion is that a good case can be made for allowing marijuana use in certain instances. I don’t know the criteria one would employ to make the determination as to when marijuana should be used and when not. But it seems reasonable to me, and not at all unbiblical, that if marijuana can be used in some form and under the oversight of a physician to help those in extreme pain or those for whom all other medical remedies have proven ineffective, it should be allowed. I know there are arguments against the medical use of marijuana, but I cannot interact with them today. (2) Not too long ago the citizens of Colorado approved Amendment 64 that allows “the personal use and regulation of marijuana” for adults 21 years and older. Although marijuana is still illegal under federal law, its legal sale commenced on January 1, 2014, in Colorado. This decision in Colorado opened the door to the legalization of marijuana for other than medical purposes in several other states, including California, Massachusetts, Maine, Nevada, Oregon, Washington, and Alaska. (3) Does the Bible address the use of marijuana? But how many people ingest marijuana as food? This passage gives no support for the practice of smoking marijuana for a recreational high. I know of no food that we consume by smoking. As Joe Carter has written, “Presumably, no one adds marijuana to brownies because it improves their flavor. The reason to add this particular plant to foodstuffs is because of its effect on senses other than taste” (“Is Recreational Marijuana Use a Sin,” January 6, 2014, The Gospel Coalition Blog). (4) So, aside from this passage in Genesis marijuana is nowhere mentioned in Scripture. The question we then need to ask and answer is this: Do we find in the Bible something that is analogous to the recreational use of marijuana? The answer is Yes: intoxication by drinking alcohol. But what constitutes “intoxication”? If the Bible permits the use of alcohol in moderation, might it not also permit the use of marijuana in moderation? We know that a person can consume small quantities of alcohol without any intention of getting drunk. Can a person similarly consume small quantities of marijuana without any intention of becoming intoxicated? To answer that we must define “intoxication”. The Christian News­letter You Actually Want To Read! In the case of marijuana, I’m told that it takes only four puffs to induce a state of intoxication. If your intent for ingesting marijuana in any form isn’t for the intoxicating effect, why do you bother? What benefits from it are you seeking? And if your intent in the recreational use of marijuana is indeed some level of intoxication, your action is sinful. (5) But what about caffeine? People drink coffee and Coca-Cola and certain energy drinks to achieve a physical effect. That’s true, but there’s a significant difference. As John Piper has pointed out, “Marijuana temporarily impairs the reliable processing of surrounding reality. Caffeine ordinarily sharpens that processing. Most coffee drinkers hope to stay awake, do their jobs more reliably, and drive more safely. It is certainly possible to abuse caffeine, but, as a natural stimulant, it is most commonly used not as an escape from reality, but as an effort to interact responsibly with reality.” Thus, “unlike caffeine, marijuana is not generally thought of as an empowering drug that enables you to be a more alert dad, or a more aware mother, or a more competent employee. Rather, for most users, it is a recreational escape, which produces diminished accuracy of observation, memory, and reasoning. And it may have lasting negative effects on the mind’s ability to do what God created it to do” (“Don’t Let Your Mind go to Pot,” January 9, 2014, www.desiringgod.org). Contrary to what non-Christians think about themselves, you, Christian man and Christian woman, you do not have ultimate authority over your body to do with it what you please. Your body belongs to Christ! Your body is the dwelling place of the Holy Spirit! Your body is to be used to honor and glorify God! So, if you should choose to drink to excess or smoke marijuana for a high you need to ask: “Does this decision make Jesus look good?” We should also ask this about the quality of TV shows we watch, or what we see on the Internet, or the kind of music we listen to, or the rating of movies we attend, or how much we eat. (8) What sort of witness for Jesus do we give when we join with the world in the recreational use of a drug whose purpose is to induce a state of passivity and stupor and diminished accuracy in mental observation and memory and basic reasoning powers? Not a good one, in my opinion. (9) In cases such as this I often think we are asking the wrong question. We ask: “What’s wrong with it?” “Why shouldn’t I?” “How far can I go and still not sin?” Perhaps we should ask: “Will it promote the cause of Christ?” “Will this activity lead me and others to treasure Jesus above all else?” “Will it help me fight the fight of faith with greater success?” “Will it sharpen and intensify my knowledge of Christ and my commitment to glorify him in all things?” Asking those questions may well elicit a different answer from the one we typically hear. (10) Finally, let’s remember that the only external power to which you should yield conscious control or under whose influence you should come, is the Holy Spirit of God. “And do not get drunk with wine [or high on marijuana], for that is debauchery, but be filled with the Spirit” (Eph. 5:18). My conclusion, then, is that the recreational use of marijuana for the purpose of getting “high” is not an option for the Christian. It is, in point of fact, sin. This article was written by Sam Storm's and originally appeared at his blog. Find it here. Who is Your Master, Your Phone or The Holy Spirit? Have Christians Been Misled About The Rapture And Jesus' Return? Controversial Billboard on Times Square: "Was Jesus a Jew or a Christian?" Steven Furtick: Disappointment is Like a Spiritual Prison, Break Free Now! The Christian newsletter you actually want to read.